As the nation gets busier and houses get smaller, the launderette is experiencing a renaissance. Launderettes tend to be seen as places frequented only by students and other people on low incomes, staffed by women resembling EastEnders' Dot Cotton. On top of the image problem, there have been economic difficulties, too. The falling price of washing machines - both to buy and to rent - has dented the launderette market and many established businesses have had to close. Recovering from what seemed an inexorable decline, the launderette trade is reaping the benefit of certain demographic changes in modern Britain - Buying a launderette isn't such a crazy notion after all. So, while the dilapidated and dingy launderettes still exist, increasing numbers are revitalising their decor and facilities; raising the standard of their service and courting the cash-rich, time-poor customer. Ironing, dry cleaning, clothes repair or alteration services, collection and delivery, and the cleaning of special items such as duvets are just some of the ways in which launderettes have diversified their services. One Manchester-based launderette even offers internet facilities for customers so they can surf the net while doing their washing. Money might not be at such a premium for the modern professional, but time is. "There wasn't anyone working there anymore, just someone who went in and opened up." according to an interview with Jane Miller, one of the founders of the Mancunian Lauderette. It came to light that the business was in decline and the building might be available. She said: Shall we?" The inspiration for computers came from the unlikeliest of sources: McDonald's. "They've got internet access in one corner, where you can use it in your lunch break, and I just thought it was a good idea. "I mean, you're doing your washing, it takes up to an hour and generally you're just sat there. It's a bit boring, so why not put some computers in?" As self-service laundry takes time, finding things to occupy customers while they wait can keep them coming back - and perhaps create extra revenue streams. Televisions, music systems, advertising from local businesses and food and drink vending machines are some of the relatively easy ways that launderettes are improving their image and differentiating themselves from the competition. Launderettes do not make a huge amount of money - unless they offer additional services and products. Launderettes have always offered certain services over and above the standard coin-operated washing machines - notably the service wash, where customers can have their clothing washed and ironed for a set fee. 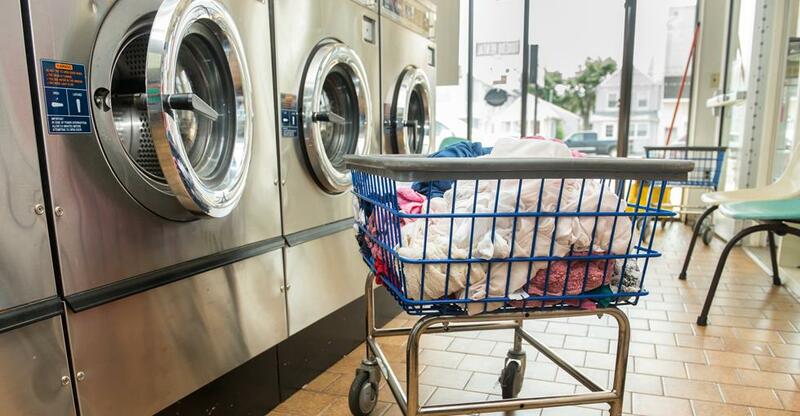 And as custom typically comes from the local community, launderettes have tended to expand their customer base by offering services to local businesses as well as residents. Despite moves upmarket in some city areas, most launderettes still tend to be located in districts with low-income or transient populations. Students and those working away from home will often not have access to a washing machine. Young professionals - particularly in London - may not have the space for one, while low-income families might not be able to afford one. Businesses in the centre of cities can be quite lucrative, though they're also more expensive to buy. A word of warning: launderettes are expensive to fit out. Electrolux estimates that the typical cost for five standard and two large washing machines, plus seven dryers, is £19.5k. The leasing alternative will cost around £500 per month over a five-year period, with a six-month deposit payable in advance. Many launderettes on the market will need substantial refurbishments, some of which may be legally necessary - for example, the installation of flues, air vents, new power sockets or an extractor to remove excess water from the premises. The business is seasonal to a minor degree, as the winter months can bring in people who don't have tumble dryers or enough space to dry their clothes indoors. A major advantage is the fact that it's an undemanding business which can be run comfortably by one or two people. It's fairly secure, too, as you're offering an essential service which will be required regardless of the state of the economy. The viability of extra services really depends on whether you have a budget business in a low-income or transient area, or are aiming at businesses or the time-poor professional. If it's the former, for instance, then your customers are less likely to have a computer, so internet access might be a popular addition. Running a launderette isn't glamorous, but the successful transformation of some neglected operations shows you can have some fun being creative with whatever space you have. Your challenge is to reinvent a concept that not so long ago seemed like an anachronism. Paulyne as Head of Content has produced regular videos and editorial for many years with small businesses, franchises and industry professionals.